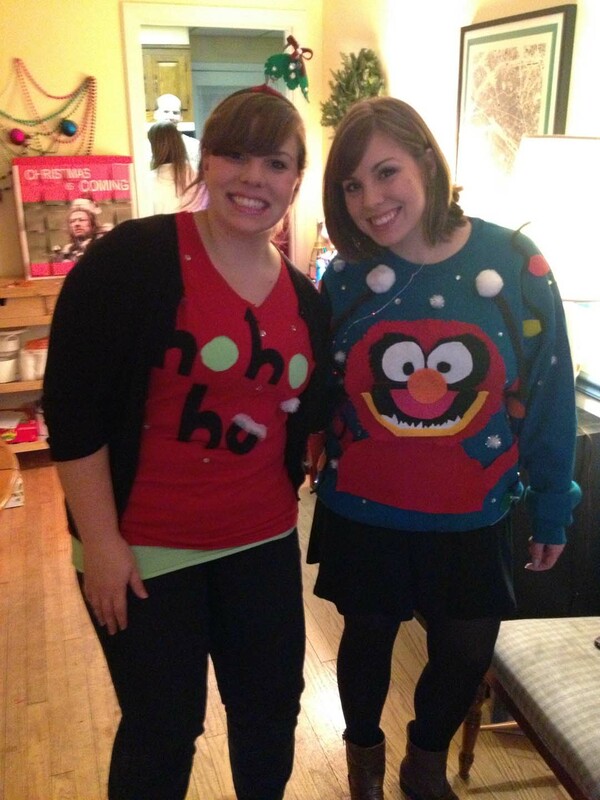 On Saturday we went to an ugly sweater party to bring in the holiday season (and celebrate Dana’s birthday) the right way. Emily and I sat down to make some fun outfits – she made a sweatshirt with Animal from The Muppets on it and I made a T-shirt inspired by Mean Girls. Check us out. 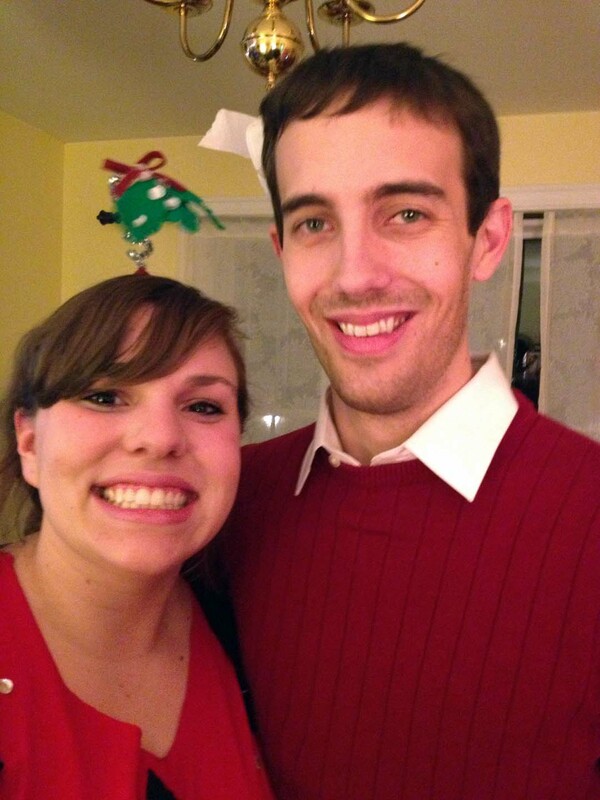 Only one thing left to make for the party, and that was the Mistletoe Headband. I made this headband in ten minutes or less. 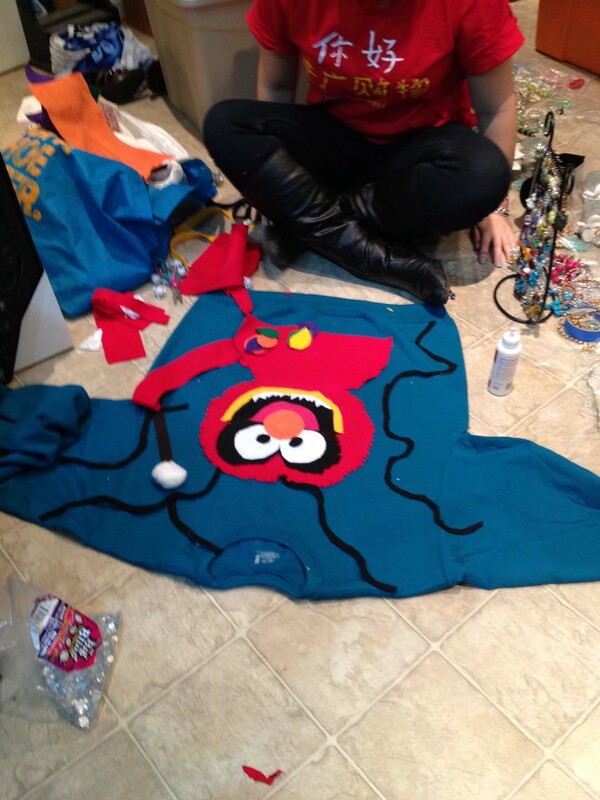 Here’s what you need: 1 headband, green felt, red felt, 3 silver pipe cleaners, and rhinestones. 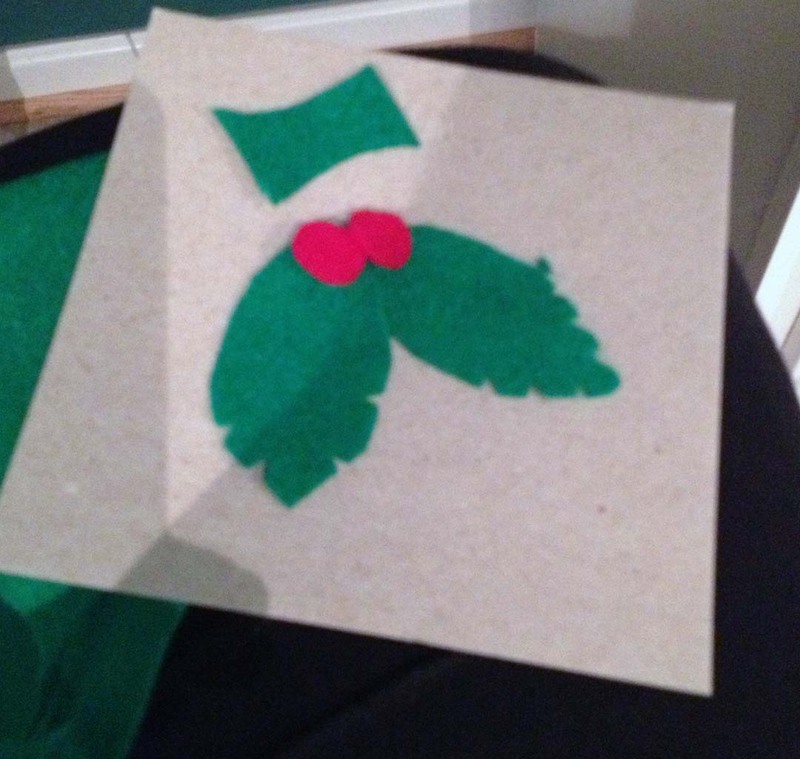 To start the headband, I cut out three mistletoe leaves from the green felt. Then I cut out red berries, until I realized that was holly. Oops. I braided the three pipe cleaners together, leaving about two inches unbraided at the very end. Then, I glued the green leaves to the green backing (pictured above), sandwiching the finished end of the pipe cleaner braid in between. 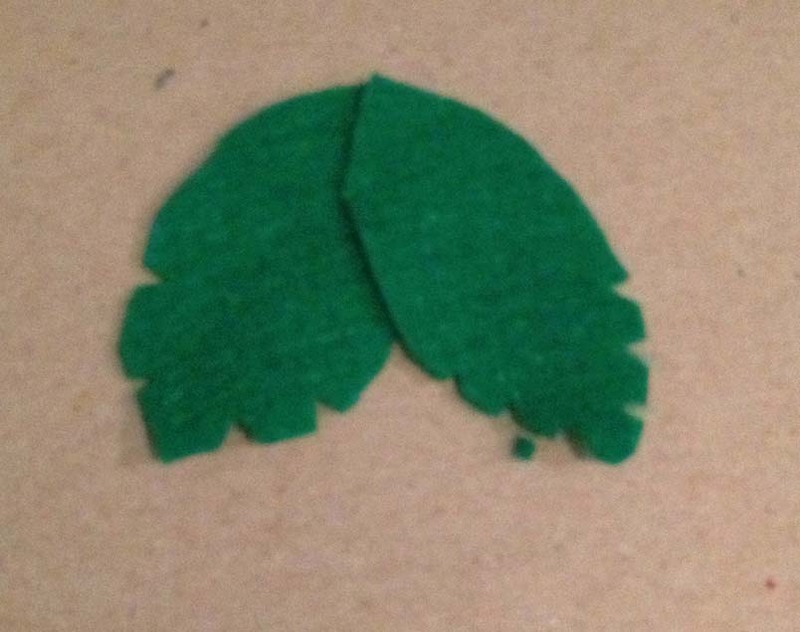 Once that dried, I glued the third leaf behind so it dangled in the middle. With all of the leaves dried in place, I embellished with rhinestones and a red ribbon, hot glueing each piece onto the existing felt leaves. Next, I wrapped the three strands of unbraided pipe cleaners around the headband and secured with hot glue. As a final step, I took a piece of red felt and cut it into a long strip, then hot glued it around the base of the deally bopper so the pipe cleaners wouldn’t stab me in the head. Good choice for sure! Depending on how long your pipe cleaners are, you might need to spiral or bend your stem so your mistletoe doesn’t hit you straight in the eye. That would probably hurt. I love this headband so much. 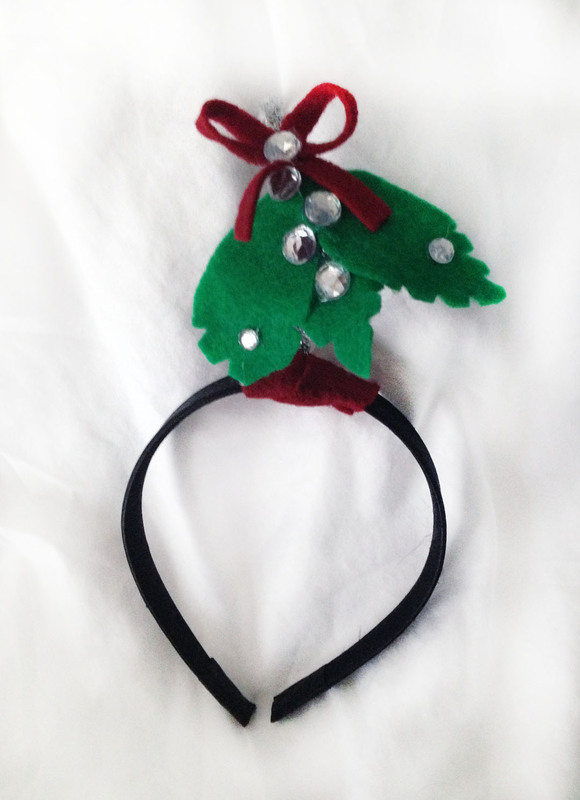 I should add that it was inspired by a store-bought headband a coworker wore to our holiday party last week. So awesome. 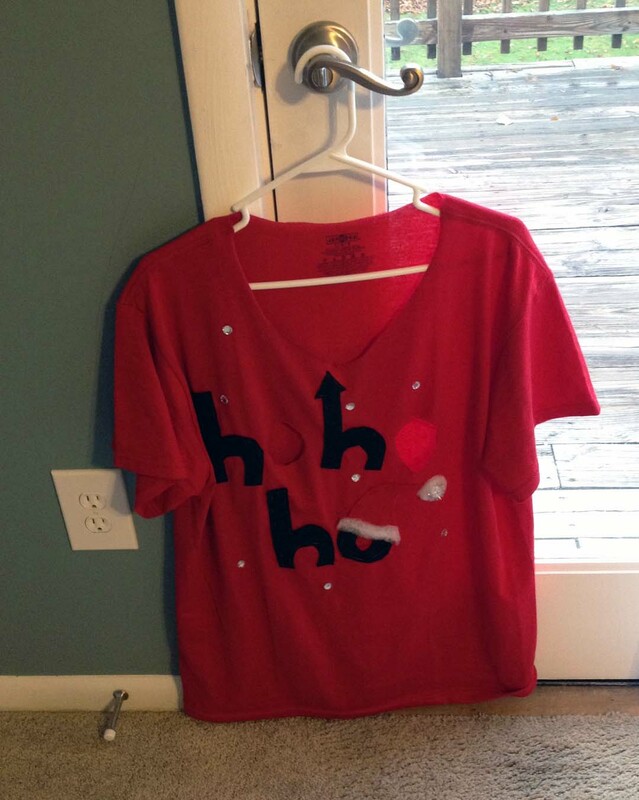 Like I said, this took ten minutes tops and was a great addition to my festive tee. Aren’t we the cutest sisters!? We are practically twins. 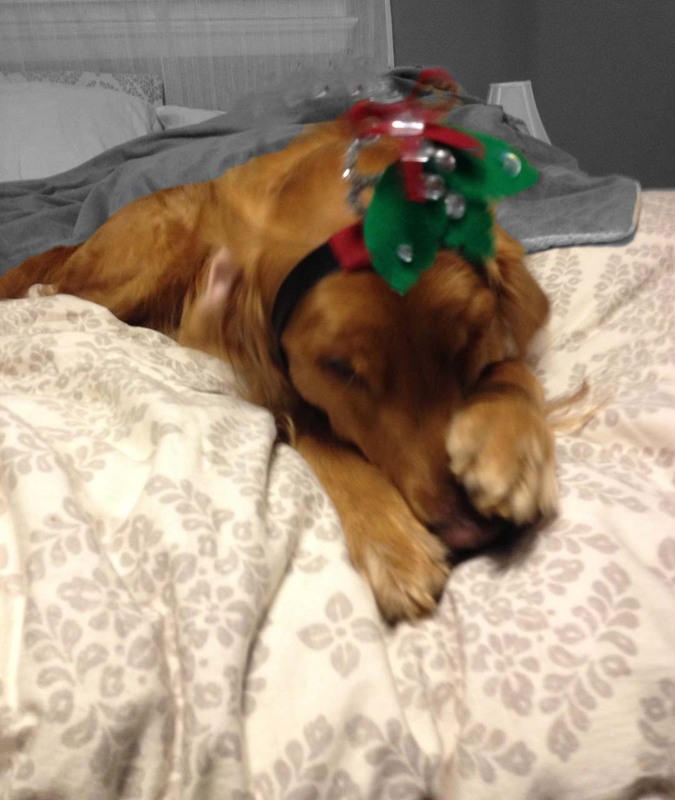 And I of course had to try it on Remmy…. 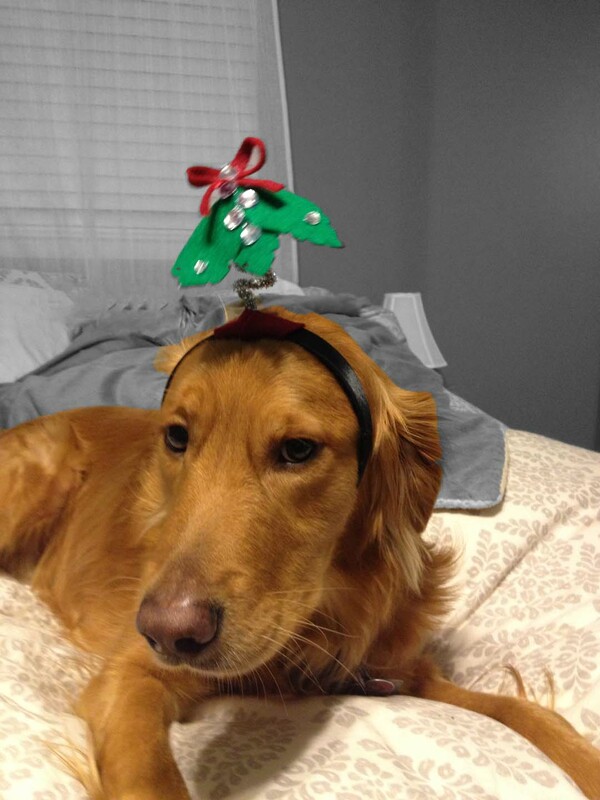 … Who promptly took it off.